A new era of a new dawn where fingerprints can be used to bank accounts, this new technology is being rolled out by two major banks in the United Kingdom and will soon catch up with the whole world. Customers of RBS and NatWest will need to first activate this feature with their security information. 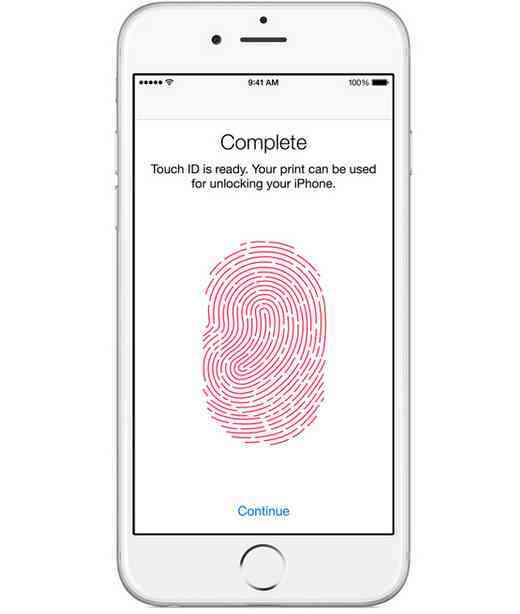 After activation this feature can only be supported by Apple’s Touch ID. Reports from these banks indicated that customers who are unable to access their account after 3 attempts using this feature will have to re-enter their security codes. Both banks stated that the feature is rolled on Apple’s iPhone 5s, iPhone 6 and 6 plus and can be activated with customers’ login details. When customers login their customer details the feature will automatically be activated. Other information given by the banks included maintaining the additional in-app payment verification features and setting limits on new payments. Currently as indicated by both banks, the finger print recognized technology is being used by 880,000 of their customers. The new technology was met with a strong criticism when it was first introduced in 2013 with the launch of Apple’s iPhone 5 in 2013. In just a day after the launch crooks were able to invade the system and this immediately raised major security concerns about the new technology. The crooks made a fake finger from a photographed finger print left on the surface of a glass. Apple came out to defend the product’s security. It stated that the new fingerprint technology was secured and safe to use but not meant to totally replace traditional security measures though unlocking a phone was made much convenient. Told to BBC by a German think tank hacker Ben Schlabs, of SRLabs, indicated just how dangerous the new feature can be and stated a lack on the part of the manufactures to fully understand the associated risks. In Great Britain alone over 12.4 million banking apps were downloaded. This was stated in a banking association report. The banks indicated that almost 50% of its customer base use online banking with a fraction of the 50% accessing it via an app almost every week. According to the Managing Director of the bank, Stuart Haire he stated that the revolution in banking has seen more of their customers shifting to digital banking. He further added that an added feature of the fingerprint recognized technology using the Touch ID has gone the extra mile made banking extremely easy, more accessible and very convenient to its customers.